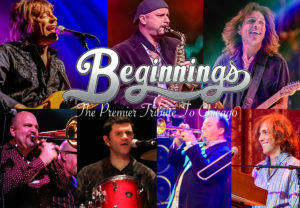 The Ultimate Chicago Tribute Band brings together a group of talented, seasoned musicians that share a love and deep respect for the music of the band Chicago. They have received rave reviews at prestigious venues like Walt Disney’s EPCOT Center, Bally’s Atlantic City Resort Casino, and many others. These timeless classics are guaranteed to be enjoyed by music fans of all ages. Audiences get to experience a vibrant, high-energy, live performance of some of the greatest songs from the golden age of Chicago.